”Your Excellency”, nowadays these are words we use to address only presidents and ambassadors. What does Ms. Judith Garber feel when addressed like that? First of all, I feel that it is a great honor to be the U.S. Ambassador, especially to Latvia, which is a good friend and partner of the United States. But often when I do not see the person addressing me using ”Your Excellency”, I am not even aware that it is me who is being addressed. Is it funny for your children to answer to the question “What does your mother do?” with “She’s an Excellency”? (Smiling) It seems to me that my children are very proud of the fact that I am the American Ambassador. But I have indeed noticed them giggling when someone calls me “Your Excellency” in public. It is because for my daughter and son I will always be only their mother. Ms. Garber, you have been in Latvia for 26 months now. Apart from your diplomatic mission, what have you gained or lost during these two years? Of course, I have only gained. I have not lost anything. I was welcomed so warmly. I want to repeat one more time that it is such an honor and privilege to be the U.S Ambassador to Latvia. There is very strong and deep partnership between Latvia and the U.S. and I am very proud that during these more than 2 years we have been able to achieve even better mutual partnership. This also applies to security issues and military cooperation between the armed forces of Latvia and the United States in the major international mission in Afghanistan. Latvia has an anchor position in the network via which the supply of our non-military cargo travels to Afghanistan. Speaking about economic relations and trade, these ties have grown much deeper, wider and stronger. In the first 8 months of this year, the U.S. exports to Latvia were up over 70%, while Latvian exports to the U.S. more than doubled. And how about human relationship? I think we are collaborating well and this cooperation is getting better and more meaningful. More and more residents of Latvia travel to the U.S. via the visa free Visa Waiver Program. With the assistance of the Baltic American Freedom Foundation, 17 young and fantastic people will be given a chance to disclose their professional capabilities in the U.S. When Latvia held a month of the American culture, we tried to promote the idea that Latvians play an essential role in the life of Americans. Your predecessors, Ms. Todd Bailey and Mr. Larsen were not career diplomats and sometimes made abrupt and radical statements about the Latvian domestic policy. You avoid talking about it. Does this mean that the State Department has changed the policy regarding the place and role of the U.S. diplomatic mission in the Latvian political processes? The American policy towards Latvia has remained stable for many years already. Latvia is our partner and ally, a member of the European Union. It is a very valuable partner of ours. I believe that every ambassador has his own style of doing things. Ambassador Todd Bailey spoke very clearly about many things. It was her style of communication. Ambassador Larsen up to his appointment as Chief of the Mission in Latvia was a politician. He easily got out to the crowd and talked to people. This is a feature of a good politician. I have over 20 years of professional diplomatic career behind me, and it does, of course, influence my style of communication, which is different from that of my predecessors. Does your style of communication mean that a diplomat makes use of words in order to conceal his or her thoughts? Can the same be attributed to tolerance? Tolerance is one of the key values for us. Some members of my family have experienced discrimination because of religious beliefs. In my country, 30 years ago, a married woman could not become a diplomat or an ambassador. One of the main things, apart from direct duties of American ambassadors, is the development of human values. I recently had a conversation with Latvian women about the relation between such values and diplomatic work. 26 months ago, you presented credentials to President Zatlers. What specific information may indicate the success of your mission here? We are trying to attract more investments to Latvia, as well as to show Latvian businesses investment opportunities in the U.S. I think Latvia is improving its investment climate and has successfully participated in international financial programs. The Latvian economy is now more flexible and competitive than it was prior to my arrival. I think the study conducted by the World Bank will be an excellent example of it. Latvia has moved up 10 positions and reached the 21st place. 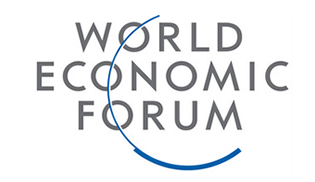 It also emerges higher in the international ranking of economic competitiveness. Prominent Latvian politicians claim that President Zatlers’ call for the 10th Saeima dissolution was a mere political gamble. You said earlier in one of your interviews that the parliamentary elections confirm a significant achievement in the development of democracy in Latvia. I think this is a contradiction. What could it mean? I do not think it is a contradiction. What happened this summer was an alive and moving democratic process. When the debates rounded up, people had heard out a lot of different political views on the political processes involving many Latvians. It brought only good. For me it was important that during the holiday season a lot of people found time to express their opinion in a referendum. In that case, please tell where I am wrong. People voted for snap elections – this is, as you say, a manifestation of growth in democracy. But politicians, who were elected, argue that the development of democracy is a political gamble. Who fails to properly understand the notion of democracy: I, the people of Latvia or Latvian politicians? I do not think we should look for mistakes. Existence of different points of view also demonstrates democratization of political processes. The discrepancy between the estimates is not anything special and exclusive only to Latvia. This happens in the U.S. as well. Some time ago I lived in California. At the time, people were deeply disappointed in the actions of the governor. A movement for his recall started off. In both cases yours and ours, all the necessary procedures were followed. Everything was done in accordance with the Constitution of Latvia and the fundamental law of California. And it does not mean that someone was wrong. Some politicians said that everything was done correctly, while others opposed. Someone voted one way, others – another way, but someone did not vote at all. That’s all – it is just a part of a healthy democratic process. You once said in an interview: “The power of Latvia lies in its diversity. The Russian population contributes significantly to the strength and diversity of this country.” In theory, this is very similar to the role of ethnic minorities in America. How do you think this happens in practice in Latvia? The issue of minorities is always very difficult, also in the U.S. I think that the national diversity strengthens Latvia, because all the inhabitants can contribute to the state something to strengthen the country. Just yesterday, I had a conversation with guests from Washington. We discussed many issues, including the one of minorities. I was surprised by the diversity of opinions on what the actual situation in Latvia looks like. They all agreed that the Latvian laws are good, but the question is, to what extent they are applied. The issue of minorities is always ambiguous. Someone mentioned the European study, reflecting the position of the Russian community in the society of Lithuania, Latvia, Estonia and Finland. The Russian minority in Finland feels the most discriminated. It is important that this issue is discussed publicly and I think that Latvia is holding such discussions. This is very good. May I cite you one more time? I have never been quoted that much! I regard it as a compliment! When I was a law student, we were obliged to quote Marx, Engels and Lenin. Honestly, to quote the Ambassador of America is greatly enjoyable. You once said: “We attach great importance to the reset of the U.S. – Russian relations. Latvia has unique perspectives to participate in this process.” What do you think is so unique about these perspectives and how are they being implemented? I already mentioned how good partner for the U.S. Latvia is. We discuss with Latvia as our partner many global issues and current challenges. Latvia is a neighbor of Russia, not the U.S. Latvia has its own vision in terms of Russia, which the U.S. cannot have, because we are not neighbors. We greatly appreciate your assessment, when it comes to our Russian policy. On the other hand, when we are talking about rebooting, you should understand that the Obama administration is trying to improve the atmosphere in dealing with Russia in order to achieve concrete results in areas of common interest. As I was told by Latvian officials, during the two years of the reboot program, a space has been created for better relations between Latvia and Russia. I have already mentioned the network with non-military supplies to the multinational force in Afghanistan. Both Latvia and Russia play a functionally important role in it. This is a very specific example of how the policy helps to reset relations between Russia and Latvia. Latvia is a neighbor of Russia, but after all, the U.S. is also a neighbor of Russia. You also have a common border with Russia. So, I do not feel that there is a fundamental difference. Yes, between our Alaska and the Russian Far East there is the Bering Strait, but I think you agree that our geographical proximity is very different from yours. I agree. However, when it comes to rebooting the U.S. – Russian relations, I see the problem this way – the big Russian bear and the large American bison at first constantly argued whose fields were the best. Then they agreed: let’s not divide the territory and let us graze on the lawn together. And where in the embrace of the bear and the bison there is a place for a small bird named Latvia? I do not see the situation like this. Latvia is a part of very important U.S. international relations. Latvia is also a part of NATO, one of the most successful defensive alliances in the history of the planet. It is an equal partner in the discussion of issues between NATO and Russia. Latvia is part of the EU and between the U.S. and the EU there are constant discussions about the relations with Russia. And Latvia has its own influential voice in them. I want to clarify what there is to reboot. Rebooting does not mean that everything that Russia does is immediately accepted in the United States. It is just a friendly tone to work together wherever possible. We are openly talking about our standpoint, when we think Russia is doing counterproductive things that threaten the stability of the world, as well as when things in Russia itself go in the wrong direction. The same also applies to Russia violating the values of the Euro-Atlantic community. You know, my position is rather cynical. I guess it sounds rather rude in this house, but I think I am interested in this little country much more than the bear and the bison. Having got acquainted with President Berzins, you said that you follow closely the developments in our country. I would like to hear from you and not from WikiLeaks, what does this “closely” mean? What steps can we expect from your part if, in the eyes of the U.S., developments in Latvia do not correspond to the bilateral interests? As the U.S. 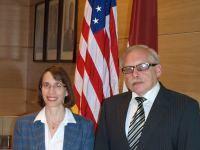 Ambassador, I am sure that relations between the United States and Latvia will not go in the wrong direction. Today we have talked a lot about it. The reason why the U.S. is so interested in the processes in Latvia lies in the fact that Latvia is a close U.S. ally and a good strategic partner. We are friends. The United States cares for what is going on in Latvia. Then, how are journalists supposed to explain to people the following contradiction? The best “friend” of America, Mr. Lembergs, the Mayor of Ventspils, who is also a personal “friend” of Mr. Soros, argues that the U.S. Embassy did not allow the political association Harmony Center to take part in the government. Meanwhile, the director of the Institute of European Studies, Mr. Gaponenko said in the Russian press that the U.S. Embassy was trying hard, yet unsuccessfully, to push Harmony Center into the current Cabinet of Ministers. The contradiction of these opinions allows to associate the U.S. Embassy with the two-faced Janus. Would you be so kind as to answer honestly, were you trying to get Harmony Center into the government or, on the contrary, you worked against the possible triumph of the largest oppositional political force? It’s neither of the versions. We are constantly repeating that we are willing to work with any government of Latvia, as long as it emerges as a result of a democratic process. You said in an interview to Lietišķā Diena that Latvia has to prove that it is investment friendly. What evidence is not enough for America? You must accept the fact that in today’s troubled economic climate, competition for investments is very fierce. Financial flows are targeted at countries with the best investment climates. It is logical that Latvia should provide the most competitive investment environment of all. It seems to me that the government of Valdis Dombrovskis has taken very important steps to sign the international financial agreements. The country is undertaking policy reforms and other necessary actions. It is crucial that investors know that they are treated honestly, contracts will be met and the force of the law works. Creating a good investment climate requires appropriate steps. Perhaps, the transit is one of the most important sectors left in the Latvian economy. Does the fact that U.S. investors do not place money in Latvian ports signal problems with laws that protect foreign investments? I think this issue is too difficult to draw any general conclusions. Each investor takes his own decisions, but the investment climate is the key condition. There are investors who are indeed interested in ports, but without specific details of investment projects implementation, it is very difficult to talk about any activity or passivity of investors. When Latvia State Audit Office audited Ventspils Free Port, it found very serious violations, which investors will most likely disapprove of. What is your opinion? Although we are observing the processes taking place in Latvia, we are not acquainted with the results of this audit. We trust in the work of Latvian state institutions and we believe that the society of Latvia and politicians will appreciate the results of the State Audit Office’s work in Ventspils Free Port. Can we say that the terrorism issue lost its topicality for the USA along with the death of Bin Laden and other leaders of terrorist organizations? Can Latvia, which has not yet been attacked by terrorists, feel safe, especially considering that international forces in Afghanistan are being supplied via Latvia? Unfortunately, no one can feel completely safe against acts of terrorism. This was confirmed by the recent tragedy in Norway. The security level may be increased only through international cooperation. The more we work together on this problem, the more we can minimize the threat of terrorism. The hour of the conversation passed too quickly. Her Excellency stole a glance at her modest watch. We took a picture together and then the host of the American Embassy walked the guests to the door, wishing to maintain the professional high bar of BNN that we have set for ourselves. Thank you, Ms. Garber! It was our first meeting only.